Published: Feb. 15, 2017 at 11:27 a.m. Updated: Sept. 4, 2017 at 05:16 p.m.
Offseason? What offseason? Fantasy football has become a 365-day-a-year passion for NFL fans, and the actual season is almost upon us. As we're now in the thick of fantasy draft season, here's my latest list of the Top 200 fantasy players for 2017 -- fully updated following a rash of devasting preseason injuries. These rankings are based on the NFL.com standard scoring system and will be updated daily (as needed) leading up to the season. 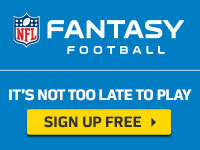 It's never too early for fantasy football CLICK HERE to get your 2017 NFL Fantasy season started.